Cat: "What did you get him for his birthday?" 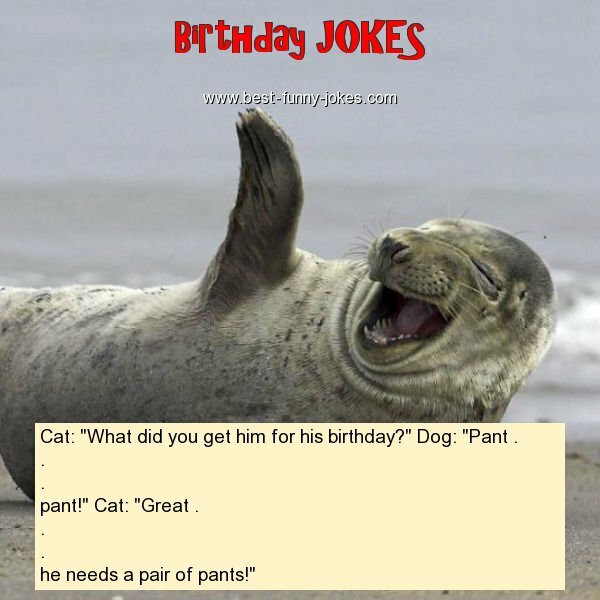 Dog: "Pant . he needs a pair of pants!"